**This powerful and lyrical debut novel is to Syria what The Kite Runner was to Afghanistan; the story of two girls living eight hundred years apart—a modern-day Syrian refugee seeking safety and an adventurous mapmaker’s apprentice—“perfectly aligns with the cultural moment” (The Providence Journal) and “**shows how interconnected two supposedly opposing worlds can be” (The New York Times Book Review). This “beguiling” (Seattle Times) and stunning novel begins in the summer of 2011. Nour has just lost her father to cancer, and her mother moves Nour and her sisters from New York City back to Syria to be closer to their family. In order to keep her father’s spirit alive as she adjusts to her new home, Nour tells herself their favorite story—the tale of Rawiya, a twelfth-century girl who disguised herself as a boy in order to apprentice herself to a famous mapmaker. But the Syria Nour’s parents knew is changing, and it isn’t long before the war reaches their quiet Homs neighborhood. When a shell destroys Nour’s house and almost takes her life, she and her family are forced to choose: stay and risk more violence or flee across seven countries of the Middle East and North Africa in search of safety—along the very route Rawiya and her mapmaker took eight hundred years before in their quest to chart the world. As Nour’s family decides to take the risk, their journey becomes more and more dangerous, until they face a choice that could mean the family will be separated forever. 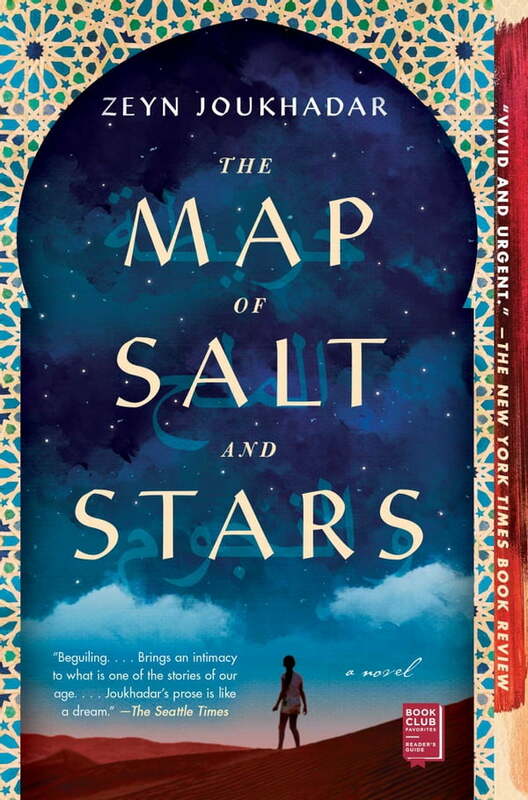 Following alternating timelines and a pair of unforgettable heroines coming of age in perilous times, The Map of Salt and Stars is the “magical and heart-wrenching” (Christian Science Monitor) story of one girl telling herself the legend of another and learning that, if you listen to your own voice, some things can never be lost.